The Beatles Through The Years: Paul is "Out There" In Liverpool This May, Will You Be Seeing Him? Paul is "Out There" In Liverpool This May, Will You Be Seeing Him? 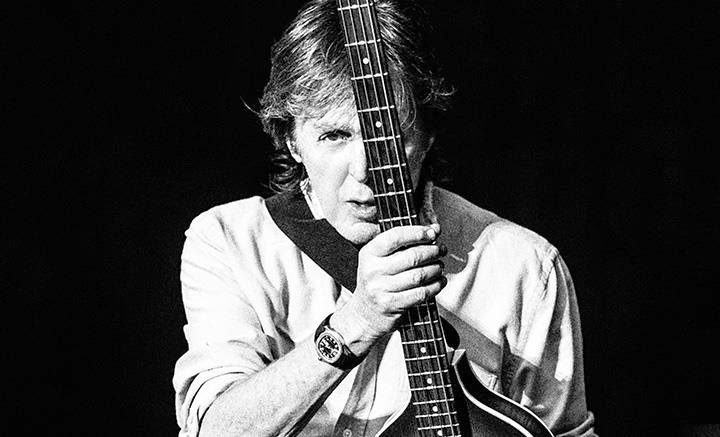 He's Out There: Macca returns to Liverpool this May, Will you see him? Paul is going back to his hometown of Liverpool! He'll be playing the Echo Arena on the 28th of May and the gig is SOLD OUT. Which is expected as it's bloody Paul McCartney! I keep in contact with some of you and know a lot of you are travelling from far and wide to come in for this concert. Some of you may be going to the two nights at the O2 Arena in London and the Barclaycard Arena in Birmingham? Sadly, that's going to be his only dates in the UK.....for now at least! But this concert in Liverpool is the most coveted. Paul McCartney, playing in his hometown, the place where he started out on the road to success, only a few miles from where he first met his songwriting partner John, it's going to be overwhelming for some of you I know. Since we sadly cannot attend this concert, we've decided to reach out to the fans who are going so you can tell us all about your experience seeing this wonderful man in concert in his hometown of Liverpool. We want to know EVERYTHING. The sights, the sounds, the songs, every little thing. So, if you are interested, please contact me on Twitter or on Facebook and we shall talk all about Paul!